Taking a walk, enjoying the outside, and looking,seeing and watching all around. original photo twistedvines + kkhappyheart + kkorganic + adjustments of hue and saturation. It’s blossom are a beautiful crimson pink with lemon tipped fronds, one of natures Wintertime pleasures as walking in the crisp air. 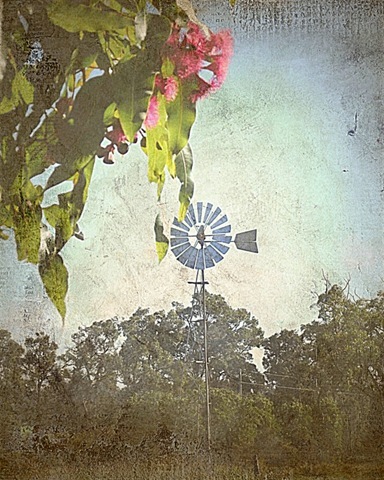 What a great edition of Texture Tuesday, Yvette! 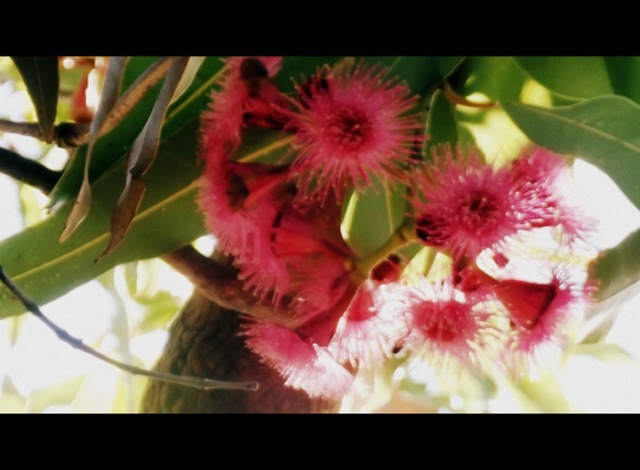 You did a wonderful job on the opening photo and the gum tree blossoms are quite beautiful. 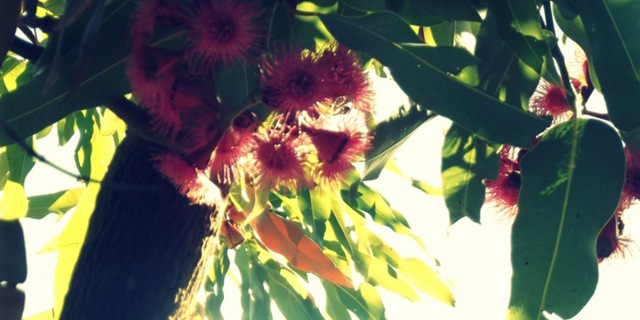 How lucky to live in a climate where a tree blooms in Winter. I like the windmill shot. 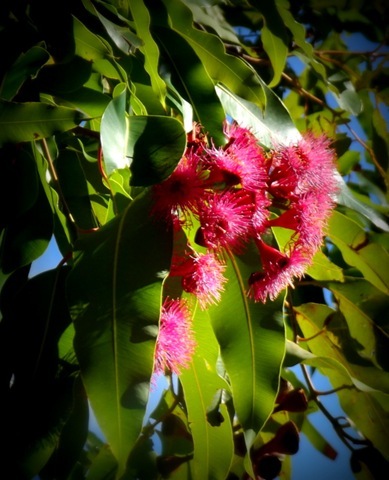 The feathery, pink flowers of the gum tree are beautiful. Lovely, Yvette! The composition really is wonderful. Oh, how I love the crisp air…enjoy some for me, too.